Soni fallsis locatedin the UsambaraMountains and offers breath-taking scenery. If you’re traveling overland, this is an excellent place to relax for a few days. The area is also decked with other smaller waterfalls worth discovering. If you’re visiting Arusha, then a hike at Meru waterfall is a must. This is an area with amazing tropical pines, ferns and other leafy plants. The waterfalls about 200 feet with a massive force. 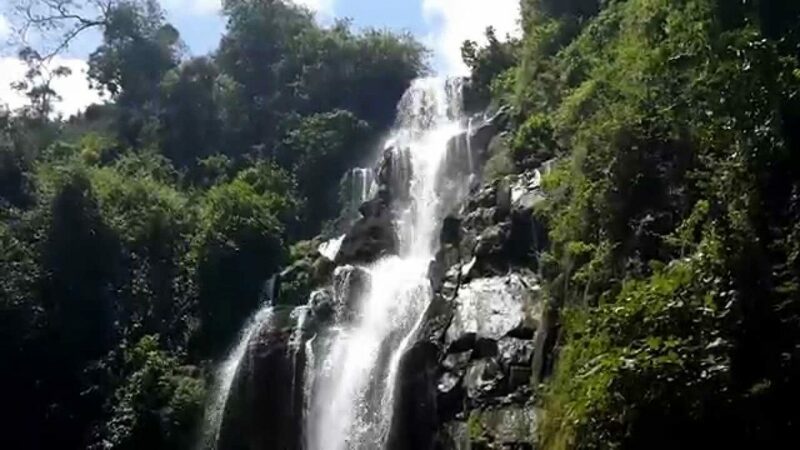 The Udzungwa National park, located in Iringa district is home to Sanje Falls. The park boasts an attractive and serene landscape with a mix of rainforest dispersed along the valleys and hills. The park also plays host to several other waterfalls but Sanje appears to be the largest plunging some 200 meters through a misty spray raining on the valley below. This is one of the highest falls in the entire country. Straddling the border between Zambia and Tanzania is the Kalambo Falls. Kalambo falls is reputed to come only second to the Tugela Falls in South Africa. The waters fall 250 meters down into the gorge and Lake Tanganyika. Located in Moshi, Materuni waterfalls is in a small village before you enter Kilimanjaro national park. The falls are surrounded by large coffee plantations. Marangu waterfalls is located in the Kilimanjaro national park at the base of the mountain. The river that feeds the falls comes directly from the melting glacier on top of the hill. The local vegetation is abundant with exotic plants and fantastic trees. Marangu village itself is located some 40 minutes’ drive from Moshi town, where you see a stunning view of Mount Kilimanjaro. Situated on the Kagerariver, Rusumo falls lies on the border between Tanzania and Rwanda and is part of the most distant outcrops of the river Nile. The falls is roughly 20 meters high and is a popular destination for nature lovers. Kaporogwe Falls in Mbeya district attracts green foliage that grows densely on the river banks until the landfall some 28 meters below. This is an area inhabited by various marine animals include toads, aquatic lizards, and turtles. Located in Arusha, EngareSero Waterfall offers a nice trekking experience.